A top of the line perpetual joins the range. Joining the recent entry-level, stainless steel Portugieser Automatic is something at the other end of the price spectrum: the Portugieser Perpetual Calendar in platinum. Though the dial design – Arabic numerals with a railway minute track – was utilised on a first generation Portugieser Perpetual Calendar in platinum, it was done in the smaller case size. The new model has the larger 44.2mm case, which is 14.9mm high, making it a hefty chunk of metal. 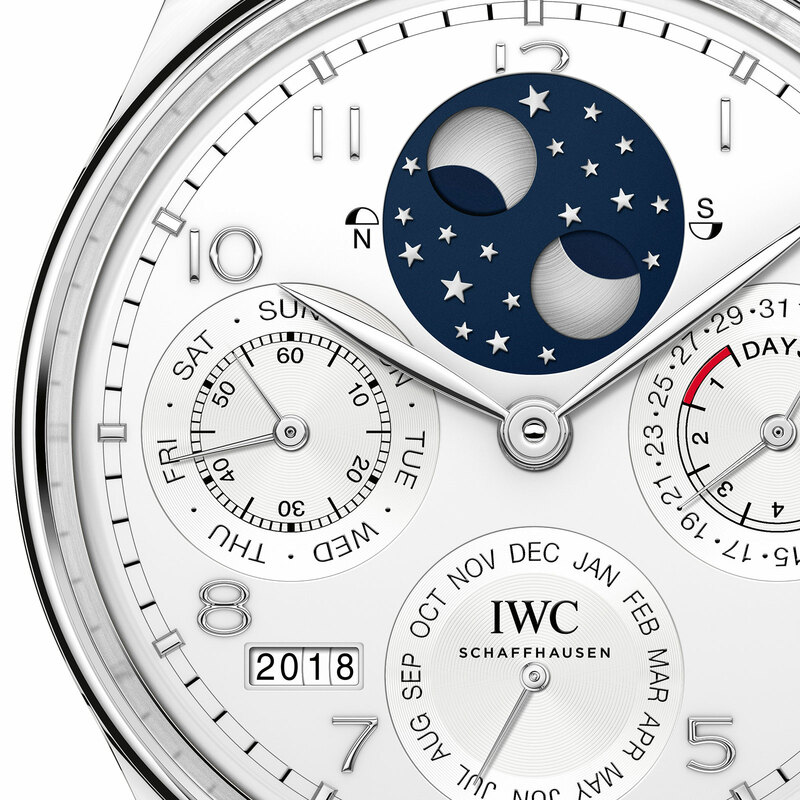 It features the trademark double moon phase display at 12 o’clock, indicating the age of the moon in both the North and Southern Hemispheres, along with the other signature IWC perpetual calendar feature, the four-digit year display. All calendar functions are pre-programmed to be in sync and set via the crown, but only forwards. If the calendar is advanced too far beyond the current date, resetting it requires a trip to the service centre or waiting until the the real life calendar catches up. The movement inside is the cal. 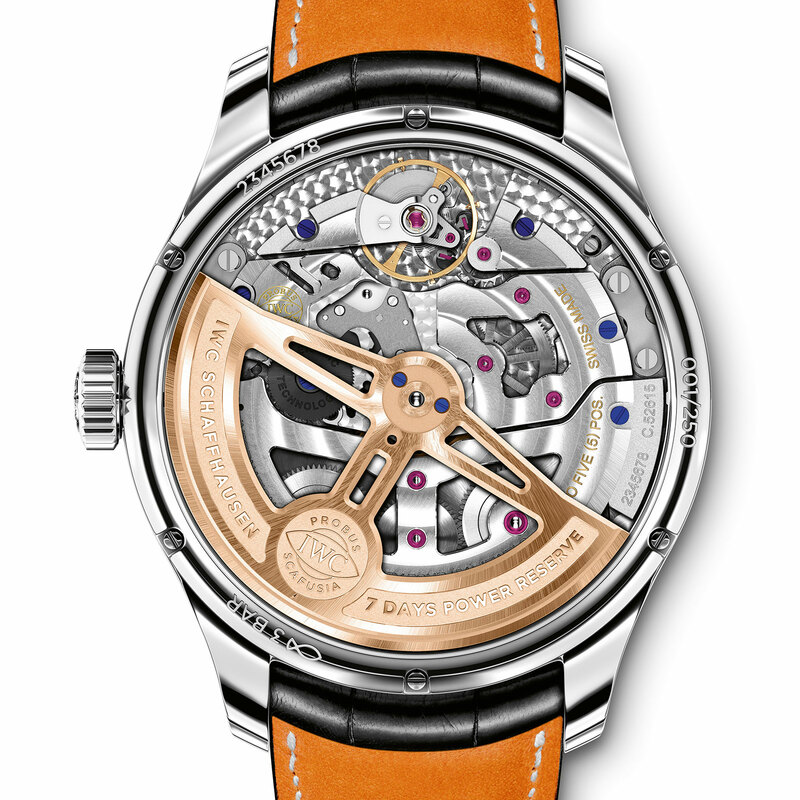 52615, based on IWC’s second generation seven-day automatic that has Pellaton winding and twin barrels. As with all precious metal case IWC watches, the movement is fitted with 18k red gold rotor; steel watches get a brass rotor with an inlaid gold medallion. 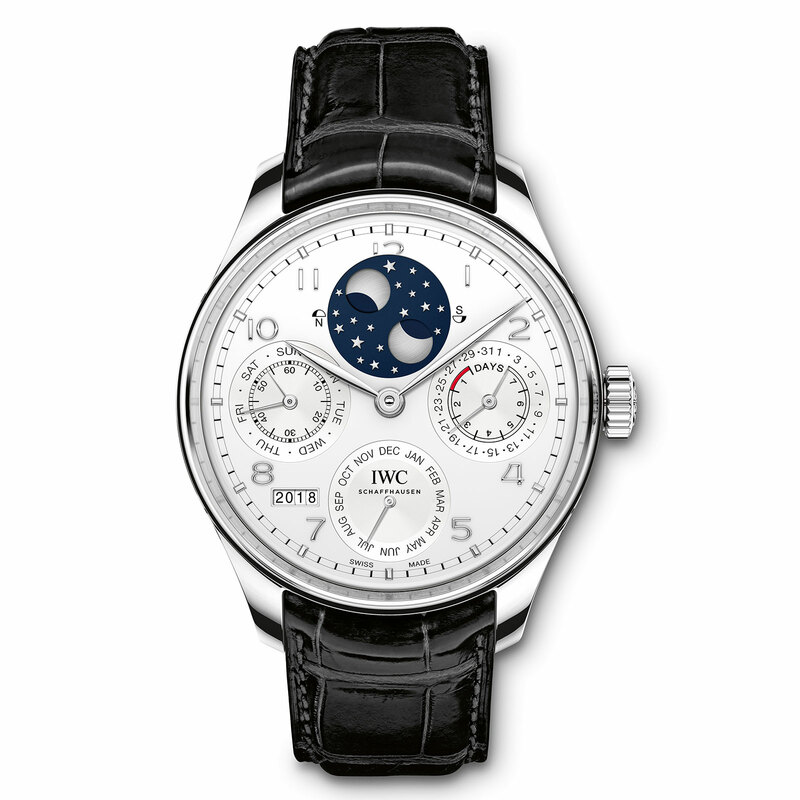 Limited to 250 pieces, the Portugieser Perpetual Calendar in platinum (ref. IW503406) is priced at US$53,300 or S$79,900. Vacheron Constantin bestows the upgraded chronograph calibre 1142 on its chronograph-perpetual calendar.